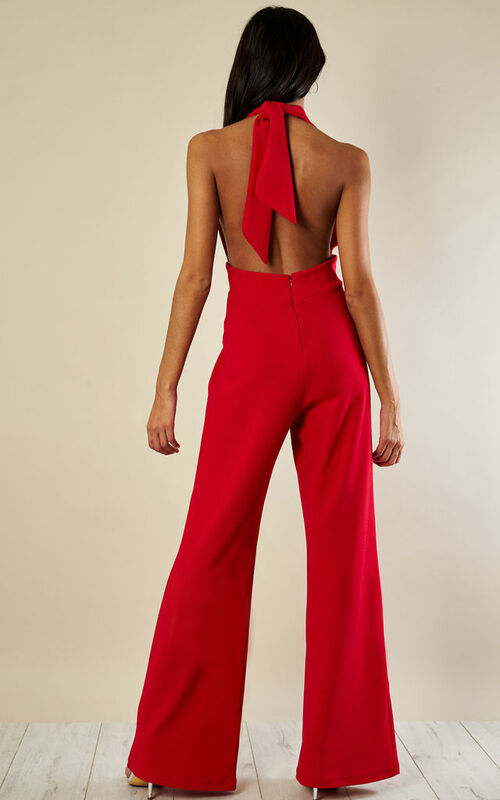 Be the first to be seen wearing this show-stopping jumpsuit. A luscious red, this outfit is one you can throw on and go. Not feeling red today? Go for black or blue instead, simply search 'Halterneck Jumpsuit'. We've got this style in every colour to suit your mood.